1470mm (4ft 9") Wide Plastic Box - With built in seat. 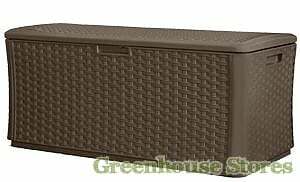 Wicker Style Resin Construction - Superior strength. 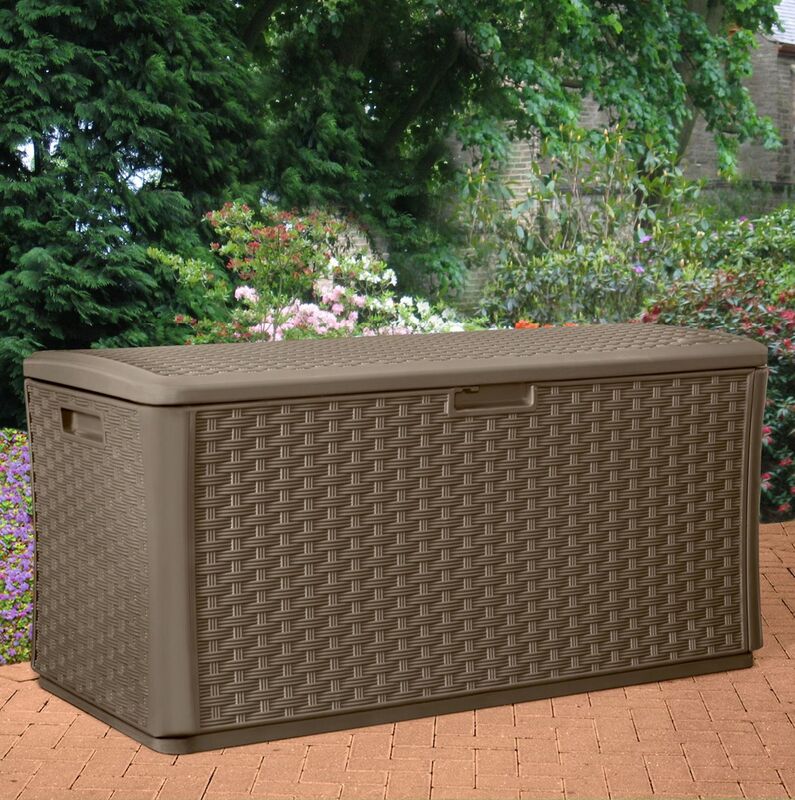 The Suncast 507 Litre Plastic Storage Box is the largest of the range and just the thing to help de-clutter your garden. 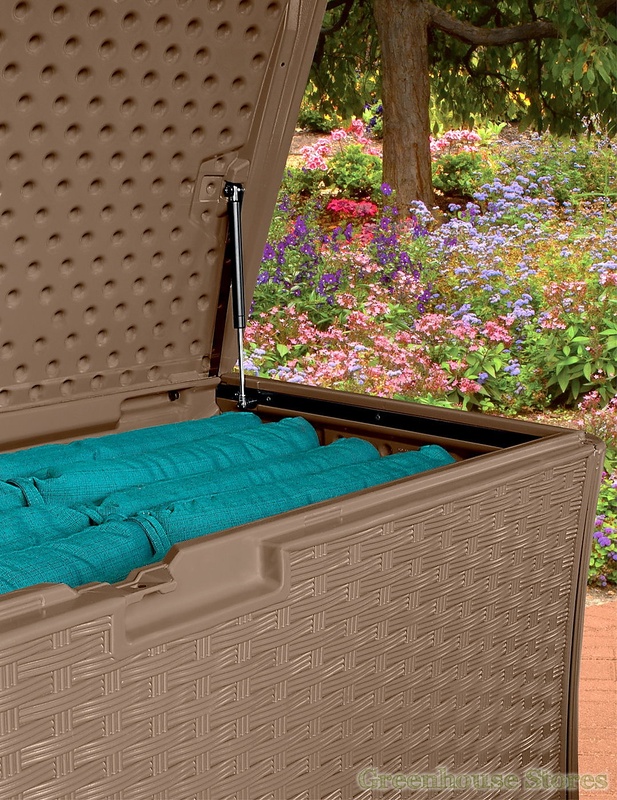 The Suncast 507 Litre Deck Box has a lockable lid and Stay Dry design to keep your valuables safe and secure. 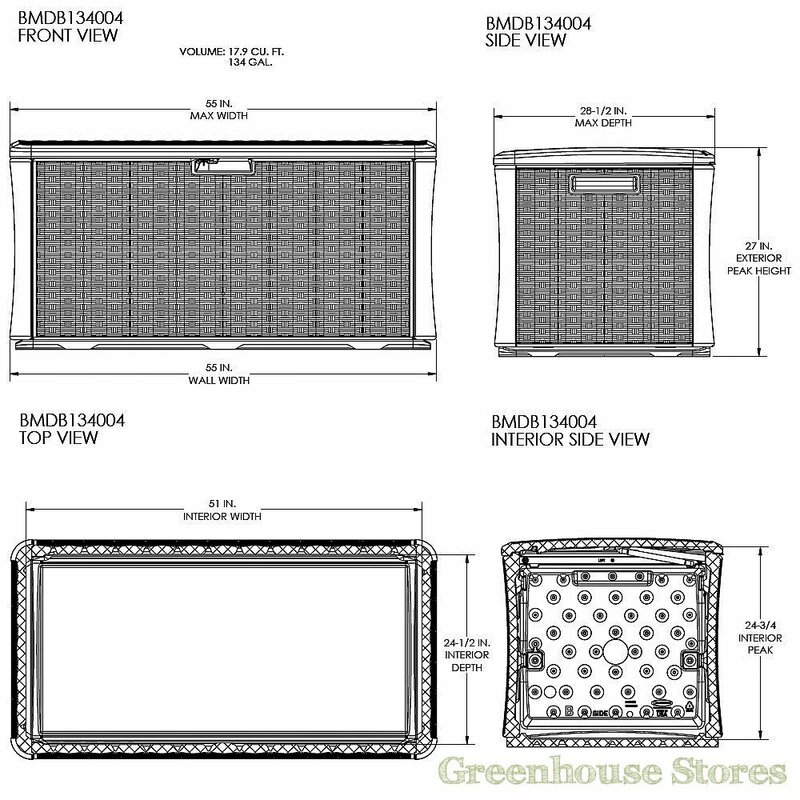 The wicker styled walls are constructed form Extra Strong double wall resin for durability.